Is the #SaladSunday movement the next big thing? The idea is simple – eat a salad for supper on Sunday! We’re all looking for a simple, delicious and nourishing dinner on Sunday and why not make it easy with #SaladSunday? It’s a great way to make Sunday dinners quicker and tastier. 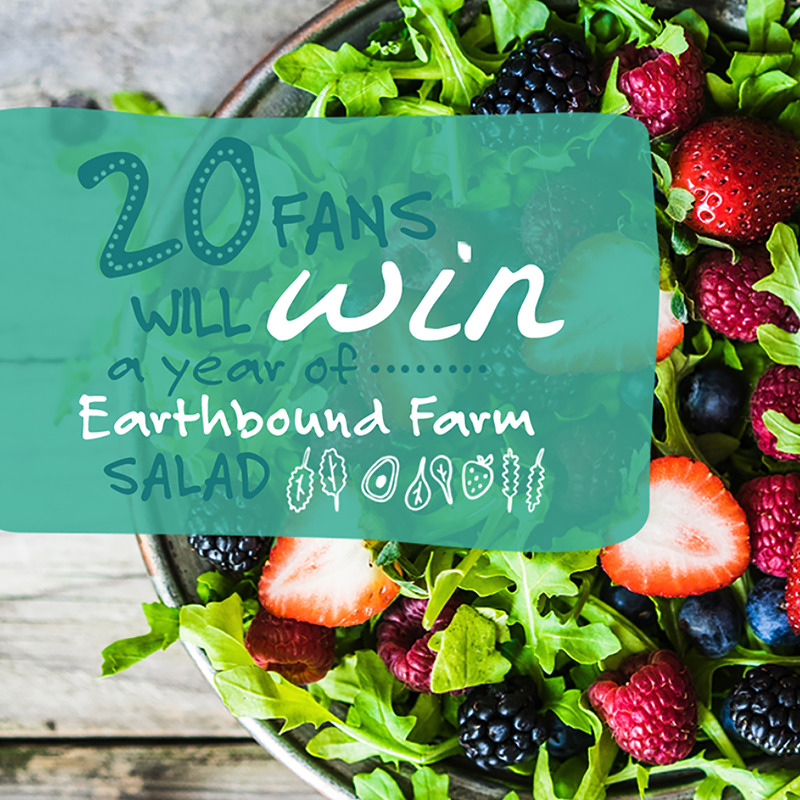 To celebrate the joy of #SaladSunday and encourage organic creativity in the kitchen, throughout the month of May Earthbound Farm is sharing inspirational organic salad themes each week. These themes, like “Global Greens” and “Have Salad Will Travel” come to life through recipes created by some of the web’s most beloved food bloggers, as well as fan-favorite, homegrown Earthbound Farm recipes. Think Steak and Egg Breakfast Salad and Kale Italia Panzanella Salad. 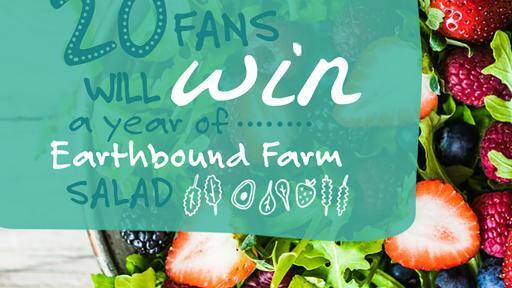 Want to win a one-year supply of organic salad? Gathering over a big, tasty organic salad is a happy and healthy way to end the week. Plus, salads are a great way to prepare a delectable dinner without having to spending hours stuck in the kitchen. Founded more than 30 years ago in a backyard garden in California’s Carmel Valley, Earthbound Farm, now based in San Juan Bautista, Calif., is a leading organic food company bringing the benefits of fresh, flavorful and healthy organic foods to as many people as possible. From its signature Spring Mix to its fresh and frozen fruit and vegetables, herbs and snacks, Earthbound offers an array of tasty and nutritious organic food with the goal of making a healthy difference in the way America eats. Whether fresh, frozen, dried or packaged, for 30 years Earthbound has specialized in growing food from the soil organically, fostering the health and harmony of the ecosystem. Earthbound Farm is a WhiteWave Foods company. For more information, visit Earthbound on Facebook and follow @earthboundfarm on Twitter.